The dramatic story of Joseph, which occupies a significant portion of the book of Genesis, tells us of an orphan loved by his ailing father and hated by his powerful brothers, who would emerge from the suffering of slavery and misery of prison to become the second most authoritative man in the civilization of his time. It is a tale of tragedy and joy, deep affection and hostile jealousy, ambition, conspiracy, abuse, falsified murder, kidnapping and human trafficking, regret, exile, grievance, famine, wealth, power, loyalty and betrayal, and inspiring closure. What shapes the story, however, is repentance instead of revenge, kindness rather than anger, and generosity in place of punishment (easily contrastable with the Count of Monte Cristo). Surprisingly, Joseph’s greatness is not usually attributed to his position of power against all odds, nor his economic strategy which sustained Egypt throughout years of famine. 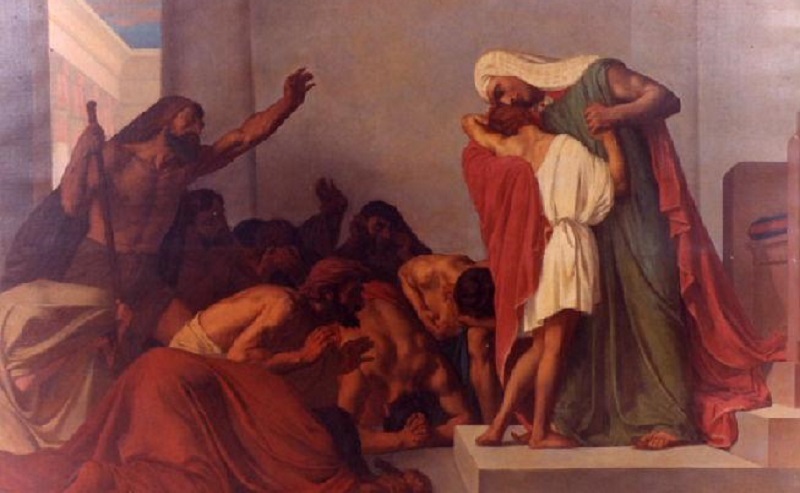 What earned Joseph the rare and unexaggerated title of righteousness was an event (Gen 39:7 – 13) which took place when Joseph was just another disposable slave. Joseph rose to the highest imaginable level of human greatness at a time when he was forgotten, abused, and hopeless. In a moment of great physical urge and overwhelming seduction, Joseph found the strength to restrain and retreat. It was a private and secret moment. Apart from the persuasive woman involved, no-one would have known. Abandoned, powerless, and despondent, in a depressing and crushing environment, Joseph would have briefly enjoyed not only pleasure, but perhaps some comfort as well. Despite these vigorous human physical and emotional inclinations, Joseph escaped, thereby risking even more personal catastrophe. Courage, strength, and heroism, is the virtue of resisting impulsive behavior, as exemplified by Joseph.